Hibernian were formed in 1875 and, within a 80-year period, had progressed from the overcrowded slums of Edinburgh’s Cowgate into becoming the first British club to participate in the European Cup in 1955. Founded by Edinburgh’s Irish community, since its inception, Hibernian have always had an ambitious and progressive outlook – continually driving forward to achieve success. The club quickly became an important part of Scotland’s sporting landscape and were first crowned national champions in 1903 – a year after winning the Scottish Cup. But the golden period in the club’s history was during the late 1940s and early 1950s when Hibernian won three championships, 1948, 1951 and 1952, in four seasons. That incredible record was largely attributed to the heroics of the club’s celebrated forward line of Gordon Smith, Bobby Johnstone, Lawrie Reilly, Eddie Turnbull and Willie Ormond – nicknamed the ‘Famous Five’. Scotland internationalist Reilly – a lifelong supporter of the club – was forced to retire prematurely at the age of 28, but he is still the club’s second all-time goalscorer with a tally of 238, behind right-winger Smith (303). Reilly’s replacement proved to be another prolific centre-forward, Joe Baker, who was capped by England while at Easter Road and scored a phenomenal 141 goals before he was sold to Torino in 1961. During the 1960s, Hibernian regularly enjoyed unforgettable nights of European football at Easter Road – defeating both Barcelona and Real Madrid under the floodlights in Leith. Barcelona were defeated 3-2 at Easter Road in February 1961 after Hibernian had recorded a 4-4 draw at Camp Nou – a remarkable feat with Bobby Kinloch scoring the decisive goal from the penalty spot. Hibernian subsequently reached the semi-finals of the Fairs Cup (UEFA) in 1961 before losing to AS Roma in a third match decider staged at Rome’s Olympic Stadium. For a short period the inimitable Jock Stein managed Hibernian and orchestrated the 2-0 defeat of the legendary Real Madridin a friendly at Easter Road in October 1964. Over the next decade Hibs played host to clubs such as Juventus, Porto, Leeds United and Liverpool in UEFA competition. In November 1967, Hibernian hammered Napoli 5-0 at Easter Road – staging a remarkable comeback after losing the first leg 4-1 in Naples. The next period of success at Hibernian was masterminded by Turnbull, the abrasive and indomitable tactician, who was appointed manager at Easter Road in July 1971. Turnbull’s Tornadoes went on to win the League Cup in December 1972, defeating Celtic 2-1 at Hampden, and the team also lifted two Drybrough Cups in successive years. During the club’s centenary year, the team were captained by Pat Stanton – a distant relative of Hibernian’s first ever captain, Michael Whelahan. Stanton also captained Scotland before moving west to join Celtic in September 1976 and he is third in the all-time list of appearances (617, behind Arthur Duncan (626) and Smith (636). 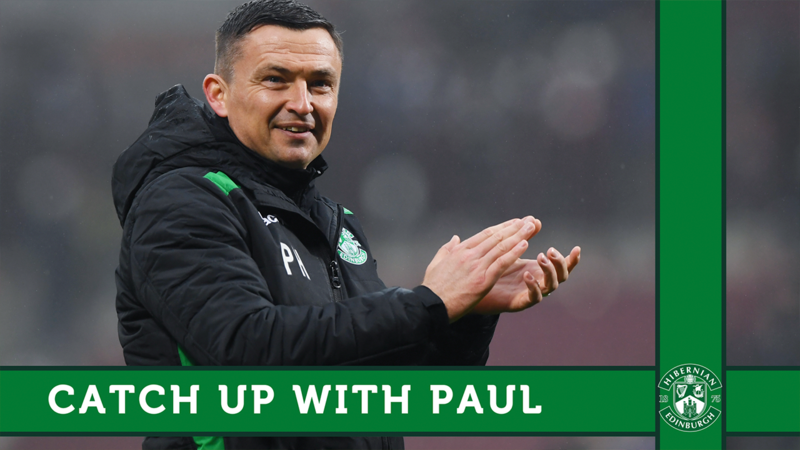 During Turnbull’s tenure in charge of first team affairs, Hibernian locked horns with both Leeds United and Liverpool in the UEFA Cup and reached the 1979 Scottish Cup Final – narrowly losing to Rangers in a second replay. After overcoming a turbulent period where the club’s existence was under threat, Hibernian won the Skol Cup in November 1991 – defeating Dunfermline 2-0 at Hampden with goals from Tommy McIntyre (penalty) and Keith Wright. Hibernian won the CIS Insurance League Cup in 2007 after defeating Kilmarnock 5-1 in the final at Hampden with Rob Jones, Steven Fletcher (two) and Abdessalam Benjelloun (two) contributing the goals. In 2016 Hibernian ended the 114 year wait for the Scottish Cup, dramatically defeating Rangers 3-2. Anthony Stokes opened the scoring after only 3 minutes, but Rangers equalised through Kenny Miller before Andy Halliday put the Glasgow side ahead in the second half. 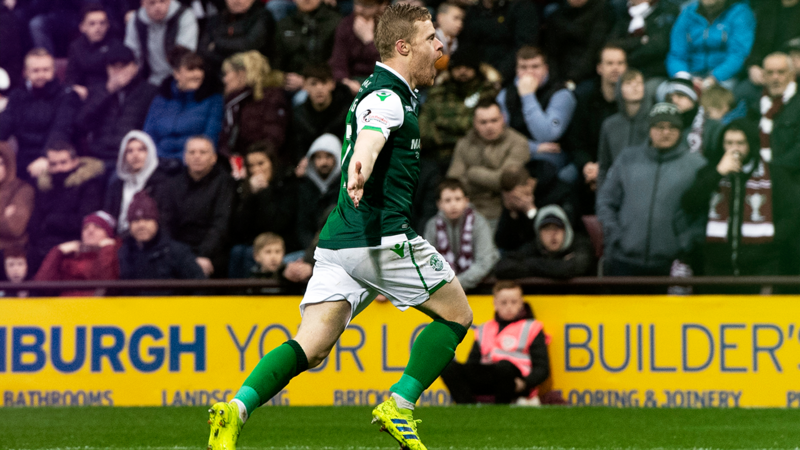 With time running out Stokes scored equalised with a header around 10 minutes from time, and as the clock struck the 92nd minute captain David Gray met another Liam Henderson corner to bring the trophy back to Leith. Over 150,000 supporters lined the streets of Edinburgh the following day to celebrate, with an open-top bus parading the trophy. To learn more about Hibernian’s history please click here and visit the Hibernian Historical Trust’s website.